Why is Chende Professional Lighted Makeup Mirror 8065 so special? What’s to pinpoint about the details? What do we like the most? What do we like less? Should you put your money at stake or not? Whether you’re a teenage who’s just learning about makeup or you’re an avid makeup enthusiast, one tool you cannot do without is definitely a reliable lighted makeup mirror. 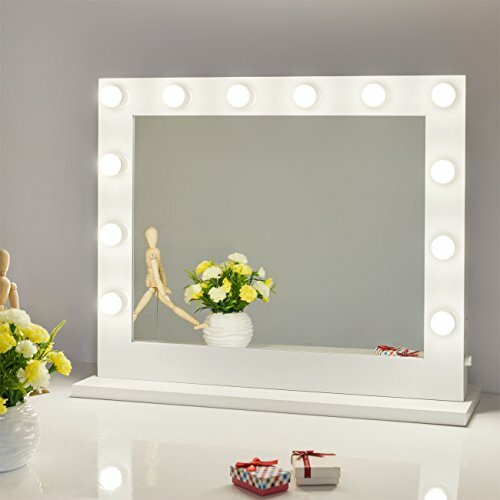 As just a plain and ordinary lighted makeup mirror doesn’t do it for you, maybe you’re willing to pay the high dollar for something that isn’t just going to give you the light and the clear image, but also it’s going to make a true statement in any décor. 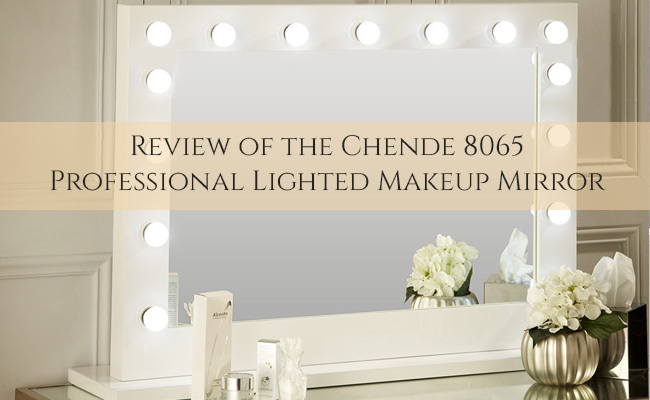 First things first, the Chende Professional Lighted Makeup Mirror 8065 is anything but subtle and is a game changer for most makeup fans. It is rather conspicuous, and it can easily become the center of the attention in any room. Far from being just a pretty appearance, the mirror does come with multiple features that turn it into a durable and wise investment for any home. As you do want to see it as an investment since the mirror doesn’t come cheap at all. Giving you bright light and the ability to adjust its brightness, the vanity mirror stands out not only with its dramatic appearance, but also with its build and performance. As long as you’re already over the extra-buck you’re going to have to pay for the mirror, a closer look at its details is going to help you understand why does the mirror is worth every single penny. The mirror comes with 14 LED lights that give a bright light, able to light up an entire room. You can easily dim the lights according to your needs by using the front on/off rotary dimmer switch. This way, you’re going to have exactly the brightness that you need so that your makeup fits every occasion and doesn’t have an artificial feel to it. The light is white and bright, but never to the point of being uncomfortable to your eyes. The versatility of the mirror continues with the two outlets on the side which allow you to plug in your flat iron and your hair dryer at the same time. Needless to say, you’re going to be able to see better, in brighter light, every detail of your hair, for a nicer hair style every time. One thing you can also get with the mirror is the detachable drawer that stands on the table top. Installing it isn’t going to be difficult at all and you’re definitely going to need the storage space for your essentials and other smaller items. Thanks to its size, you can also use it as a dressing table and use the space for storing your cosmetic and skincare products. As for the build and style, it’s almost pity we cannot praise it enough. The Hollywood style is amazing and powerful and the gloss white aluminum design makes a great impression in any décor. The build is good and the mirror is well-made. The mirror comes with everything you need for its assembly and it’s only some basic handy skills that you’re going to need for putting it together. RELATED POST: No More Fine Lines and Wrinkles- Hide Them with Your Makeup! Once it’s installed, the mirror is easy to use and turn knob type dimmer makes adjusting a breeze. The mirror needs an US standard socket and the 2 plugs on the side are easy to access and use. The brightness of the light is great and the range is useful, matching all kinds of needs. The Hollywood style and the elegant appearance of the lighted mirror looks amazing in any décor. The adjustable lighting, the good build and the clarity turn it into the mirror that you shouldn’t say “no” to. Just be sure to reach to your big wallet when getting it.